While hearing philosophy, whenever we get questions, we often expect immediate and immediately intelligible answers. However, to understand the answers, we frequently need conceptual background – a background that can be gained only by patient systematic hearing. 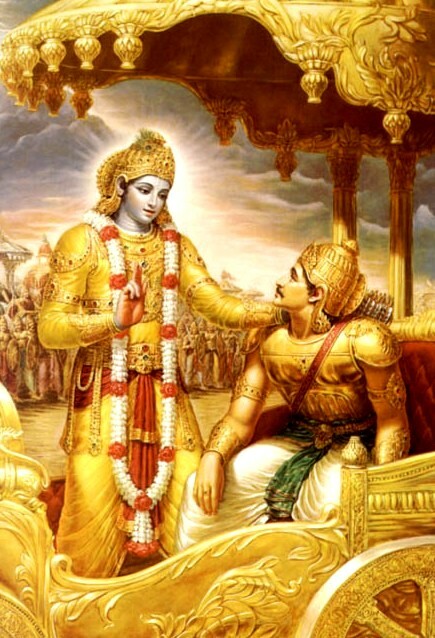 The Bhagavad-gita illustrates this principle through Arjuna’s example. The Gita (04.01) mentions graphically Krishna’s super-human position by stating that he instructed the sun-god long ago. Earlier references to his special position were passing (02.61 and 03.30), but this reference is arresting and question-demanding: How could a mortal, as Krishna seems to be, have instructed an immortal? And that too in the remote past when the mortal was not even born? Demonstrating that the Gita gives due recognition to logic, Arjuna promptly raises this very question (04.04). Krishna answers by briefly outlining his transcendental position (04.05–14), but then returns to the topic under discussion: working in knowledge. Though the point of Krishna’s supremacy can raise further questions, Arjuna doesn’t impatiently interrupt the flow but patiently continues hearing. 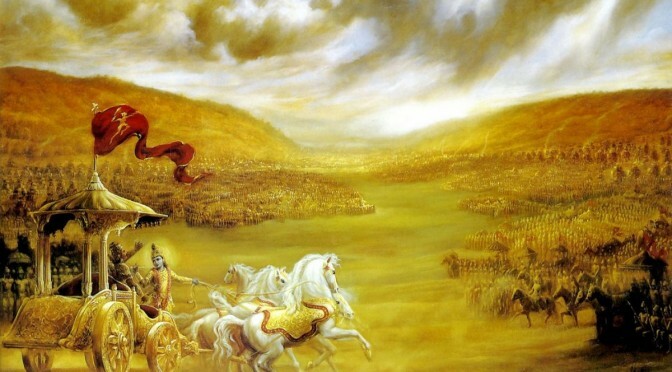 As the Gita’s narrative arc progresses, its focus shifts from the soul to Krishna. In its seventh, ninth and tenth chapters, culminating in its four-verse essence (10.08–11), Krishna is philosophically established as the Absolute Truth, the cause of all causes, the source of everything, the god of all the gods. After hearing this coherent and cogent philosophical exposition, Arjuna accepts and reiterates Krishna’s supreme position (10.12–13). Next (10.14) he declares that he accepts everything Krishna has said, including an earlier question-demanding assertion (10.02) that even the gods can’t understand Krishna. This declaration confirms that Arjuna’s question about Krishna’s cognitive superiority over the gods has been now thoroughly answered – he is now illumined by proper understanding. Following Arjuna’s example, if we too continue hearing patiently, then gradually our questions, asked and unasked, will be answered, and clear understanding will illumine us.